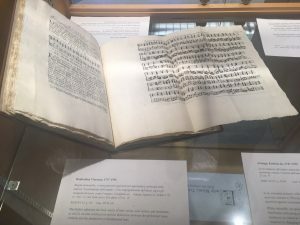 The Music & Arts Library is currently presenting Early Music Treatises, an exhibition of 16 volumes from the Library’s Cased collection. It features Italian, German, and English treatises published from 1573 to 1843. Among its offerings, it includes the earliest published book in the Library’s collection, Gioseffo Zarlino’s Le institvtioni harmoniche, published in Venice in 1573 (pictured first, below). The exhibition was curated by Elizabeth Davis and will be on view through the end of the spring 2019 semester. 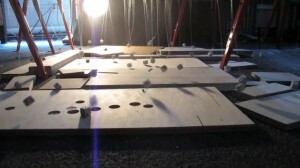 This entry was posted in Announcements, Exhibitions on April 8, 2019 by Nick Patterson. 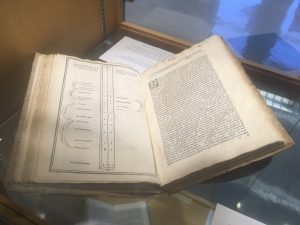 The Music & Arts Library is please to host an exhibition of work by participants in the FAB-Musiconis project (French-American Bridge for Medieval Musical Iconography), led by Prof. Susan Boynton of the Music Dept. faculty, and Frédéric Billiet (Paris-Sorbonne), and involving the exchange of students from Columbia and the Sorbonne. An opening reception for the exhibition will be held on Friday, April 14, from 6-8pm, in the Music & Arts Library, 701 Dodge. The evening will include performances of medieval music by project participants. All full-time Columbia students, faculty, and staff are welcome. Light refreshments will be served. 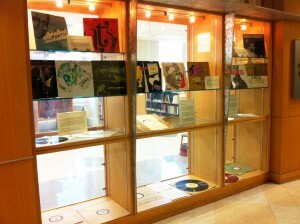 The exhibition will remain on view in the Music & Arts Library through early June 2017. The three-year project in collaboration with Paris-Sorbonne University centers on training graduate students in digital humanities approaches to the analysis and description of medieval images related to music, with a focus on the Musiconis database. Beginning in 2016, five graduate student medievalists from each of the two partner universities will be selected each fall to participate in a program of activities including two-week intensive exchanges in Paris and New York. Please direct any questions about the exhibition or event to musiclibrary@columbia.edu. This entry was posted in Announcements, Exhibitions, Faculty on April 7, 2017 by Nick Patterson. 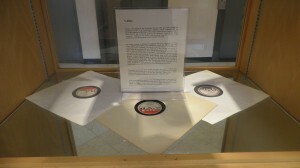 This Spring, the Music & Arts Library has been pleased to host an exhibition curated by graduate students Jane Forner and Velia Ivanova, designed around the very successful Dec. 2015 symposium “Women, Music, Power: A Celebration of Suzanne G. Cusick’s Work” (http://www.womenmusicpower.com/), organized by Music Dept. 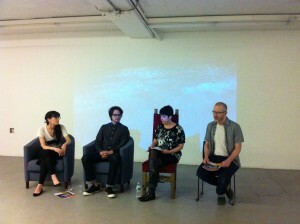 professor Ellie Hisama, and co-sponsored by several diverse departments, and the Libraries. The exhibition features writings and ephemera, which echo and supplement the themes of the symposium and highlight aspects of Cusick’s work and achievements. 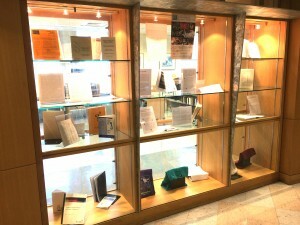 In addition to the library exhibition, the symposium website details the program and the concert held as part of the event. Suzanne G. Cusick is an influential figure in modern musicology. Her early work proved foundational to the fields of feminist and queer musicology, and her full body of scholarship remains among the most sophisticated, engaging, and provocative work in music studies. Her recent writings on the use of music in the so-called “War on Terror” have helped to launch a new generation of scholarship on music and violence and have re-configured the ways in which politics and music are understood as mutually constitutive. Whether focused on new styles of music making in early modern Italian courts, or on the soundscape of CIA blacksites, Cusick’s work is concerned with questions of how music functions as a material practice, with palpable consequences for both listeners and performers. Her work repeatedly pushes beyond the resting places of traditional scholarship, redefining the ways in which we can think about music, about gender, and about music scholarship. 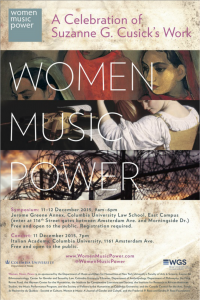 Women Music Power, seeks to highlight the central themes of Cusick’s work and to explore their continued relevance to musical scholarship writ large. 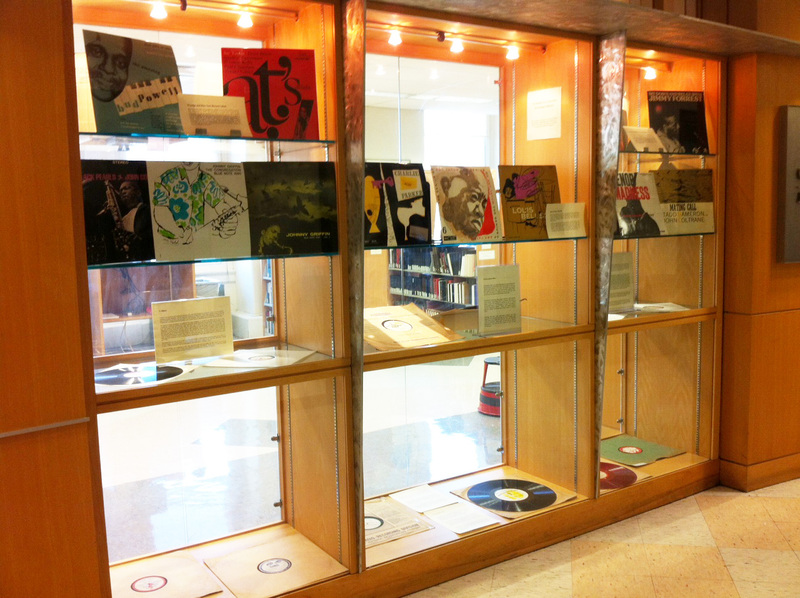 The exhibition will remain on view in the Music & Arts Library, through Monday, February 29th, 2016. This entry was posted in Events, Exhibitions, Faculty on February 19, 2016 by Nick Patterson. An exhibition in the Gabe M. Wiener Music & Arts Library highlights recordings from the private collection of Rudolf Kurz, which have been given to Columbia University and the Center for Jazz Studies. Comprising 36 recordings drawn from the 16,000 held in the collection, the show presents a selection of various types of discs, including uncommon formats such as Transcription Discs and V-Discs. 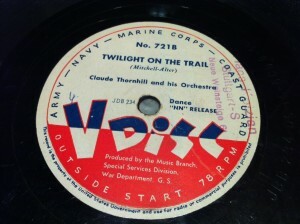 There’s an audio collection of many digitized V-disc recordings available on the Internet Archive, at this link. 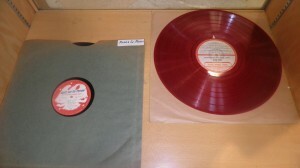 Another significant component of the Rudolf Kurz collection is jazz recordings, here including Verve label recordings with slipcases illustrated by David Stone Martin (who was influenced by the social realist art of the New Deal) as well as Blue Note and Prestige recordings whose cover designs reflected the increased recognition of jazz as a serious, influential art form. 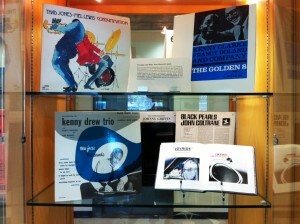 An entertaining online viewer and timeline of some further Blue Note covers is available on the Blue Note web site, and some additional images of Prestige recordings cover art are available at this link. 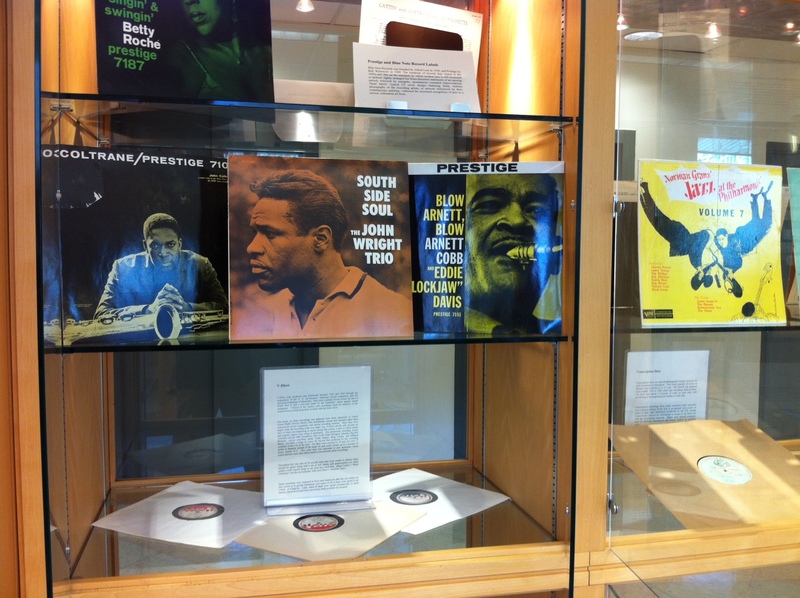 We invite you to stop by the Music & Arts Library (701 Dodge) to see the exhibition of these interesting recordings and covers. The transcription recordings and v-disc recordings are too fragile for public circulation, but the 12-inch jazz recordings featured are available at the circulation desk, for in-library listening in conjunction with this exhibition (ask for them by title and mention that they are in the exhibition). This entry was posted in Announcements, Exhibitions on April 24, 2014 by Nick Patterson. 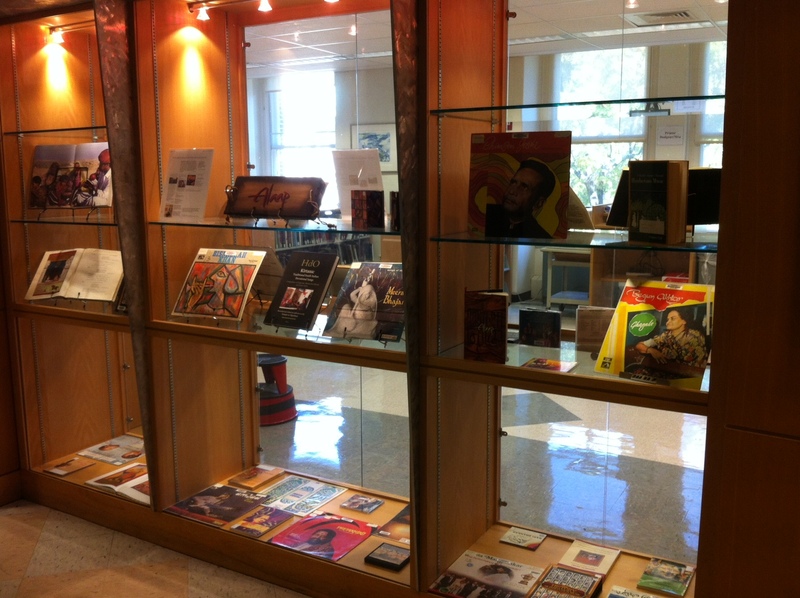 In conjunction with India Music Week, the Music & Arts Library has mounted an exhibition of materials from our collections representing the music of India, including books and recordings in several formats, and covering musical styles from the ancient art music traditions through Bollywood film music. As is the case in several other areas of the world, audio cassettes were (and may remain) an important format for distribution, and our collections include over 800 audio cassettes of Indian music in many styles. 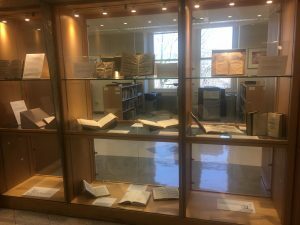 The exhibition will remain up for several weeks; stop by and have a look, and perhaps enjoy listening to some of the many selections which are available in our collections for check-out. And, if you’re in the mood to enjoy some music of India remotely, check out the streaming audio content available on the Contemporary World Music and Smithsonian Global databases. Enjoy! 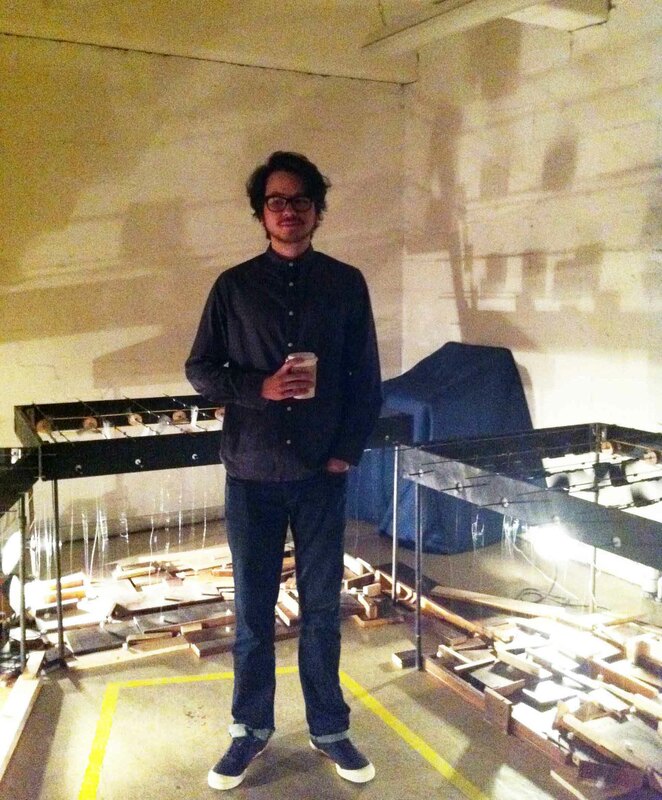 This entry was posted in Events, Exhibitions on October 18, 2013 by Nick Patterson. Currently on exhibition in the main display case of the Music & Arts Library, 701 Dodge: the winners of the 2011 Paul Revere Award, given by the Music Publishers Association to “… outstanding examples of graphic design”. Categories include note-setting for chamber music, keyboard music, cover design (the Corigliano score in this post was an award recipient in this category), and more. 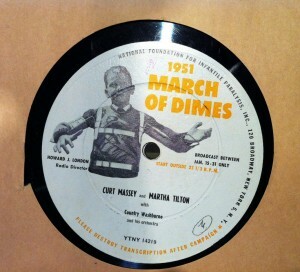 Music layout and typesetting is an art; the same musical content can find vastly different graphic expression in the hands of different publishers. 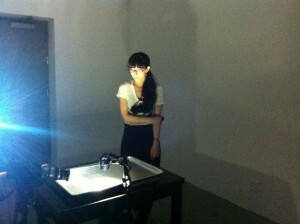 Stop by to take a look at some fine examples of this art! 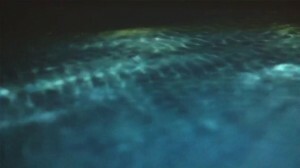 This entry was posted in Exhibitions and tagged Exhibitions on February 3, 2012 by Nick Patterson.